The club captain, who was dismissed in the game for a late tackle says that the entire squad were left in "stunned silence" when the news filtered through as the squad made their way back to London following the game. “I’m sure I speak for everyone at West Ham United when I say how hurt and saddened we are by the tragedy that occurred at the King Power Stadium following our match against Leicester City on Saturday evening," said Noble. "We heard about the incident on the coach back to London after the game and, not surprisingly, the reaction was one of complete shock and stunned silence. It’s hard to comprehend the scale of it and how much it has affected so many people." And Noble added that the incident helped place the match - and sport in general - in perspective. "Like most people, I haven’t really been able to stop thinking about it since," he added. Our thoughts and sympathies are with the families of Vichai Srivaddhanaprabha and the four other people who lost their lives, along with everyone at Leicester City Football Club – the players, the staff, the supporters, who we were alongside on Saturday evening. "At times like these the result of a football match suddenly feels very insignificant. However this game also has the power to bring people together and remind us all that, whatever the rivalries, we all stand together as part of a common love. "The football family is very much behind the people of Leicester right now." 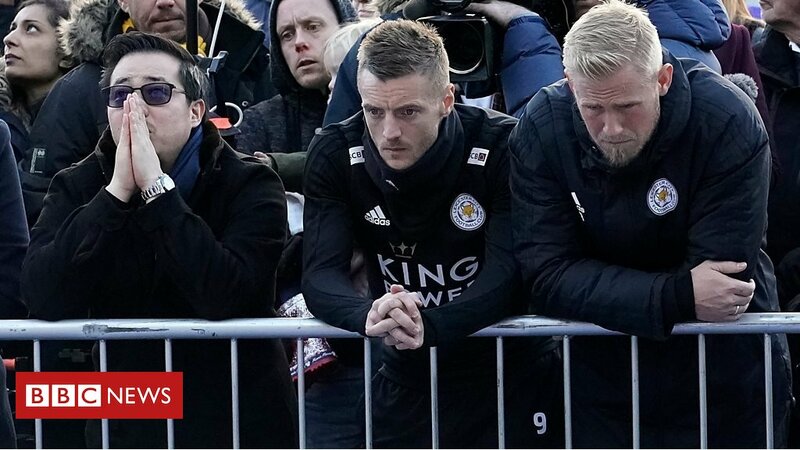 * Leicester's players returned to the King Power Stadium this lunchtime for the first time since news of the crash broke on Saturday evening in order to pay their respects to those lost in the tragic accident. The entire squad has been offered counselling. A wreath was also laid at the stadium on Monday by the wife and son of Leicester City owner Vichai Srivaddhanaprabha, who was one of the five killed in the accident. The others confirmed dead are staff members Nusara Suknamai and Kaveporn Punpare, pilot Eric Swaffer and his partner Izabela Roza Lechowicz (also a pilot).